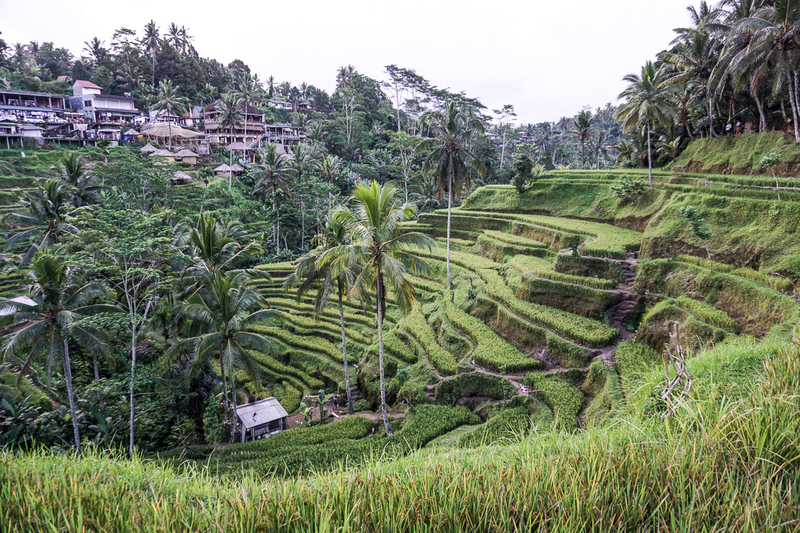 If you search for rice terraces in Bali the most frequent result you get are the Tegalalang Rice Terraces close to Ubud. 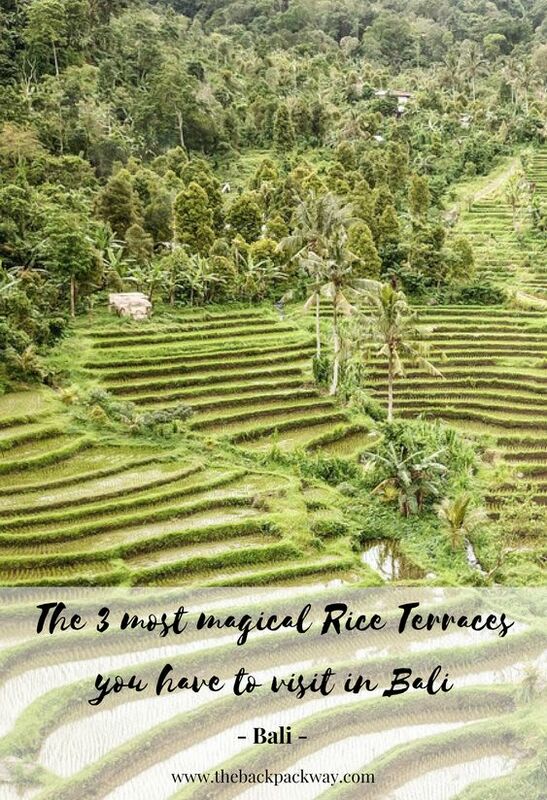 I’ve visited them during my first time in Bali and they truly are breathtaking but there are many more stunning rice terraces in Bali than Tegalalang. 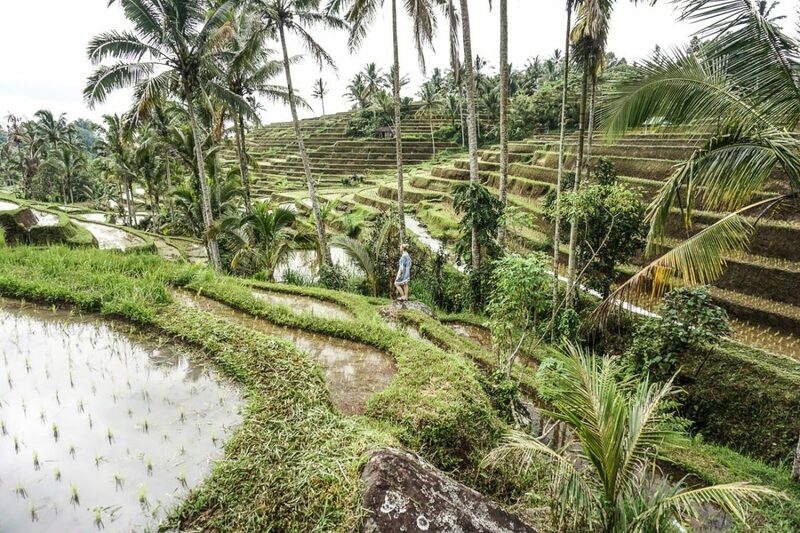 On our 4 weeks tour around the island, Berni and I explored a bunch of rice terraces throughout Bali. 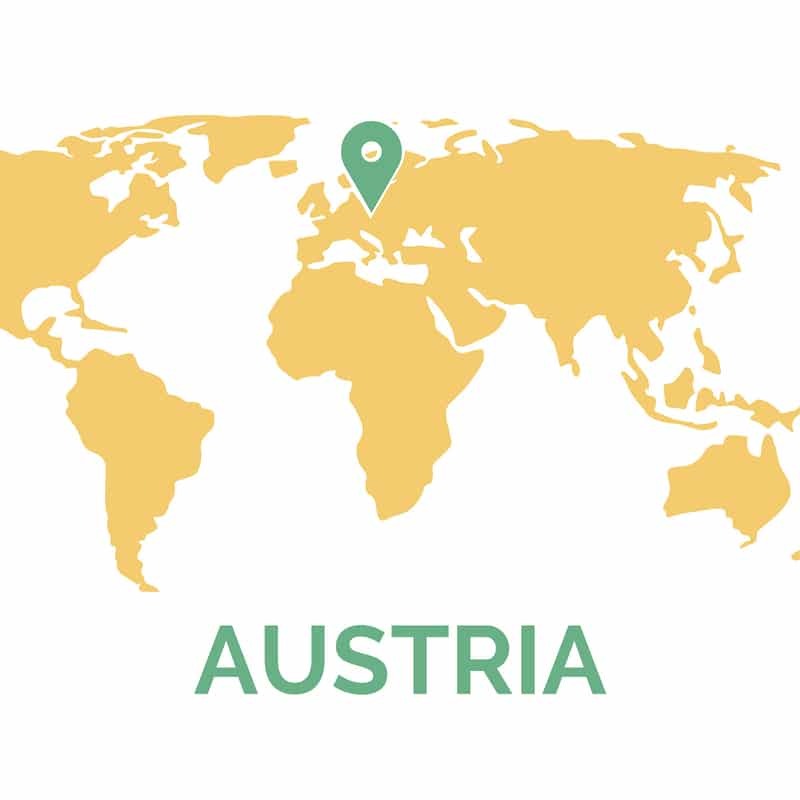 Read about our most favorite ones and why you have to visit them in this post. 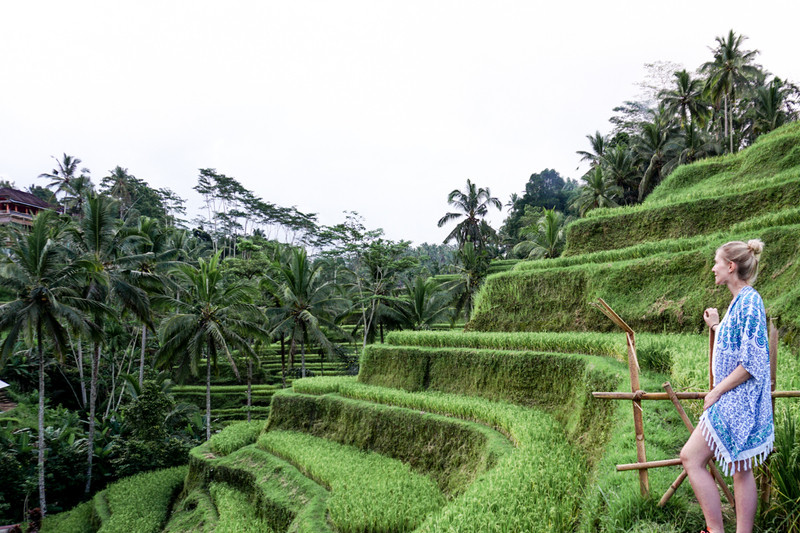 Before we dive into the most stunning rice terraces we want to tell you a little about the Subak system and why it is on the UNESCO World Heritage List. 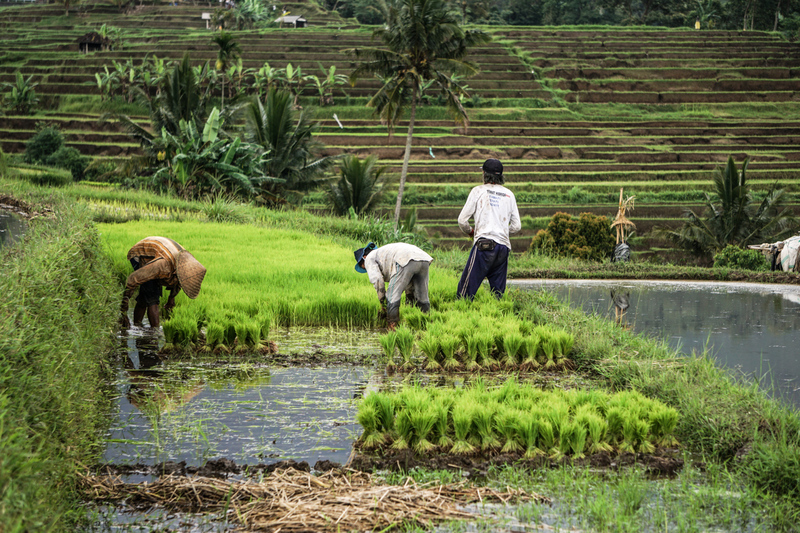 The Subaku system is the unique solution that makes growing rice on the rugged volcanic island of Bali possible through irrigation (the application of a controlled amount of water at needed intervals). 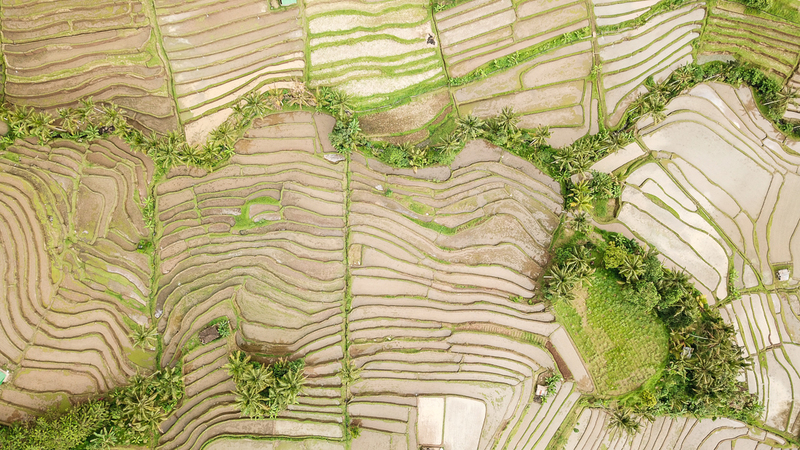 It’s a complex, artificial ecosystem relying on the forests, terraced rice paddies, tunnels, canals, villages and temples on Bali. The water temples play a very important role in the Subaku system. 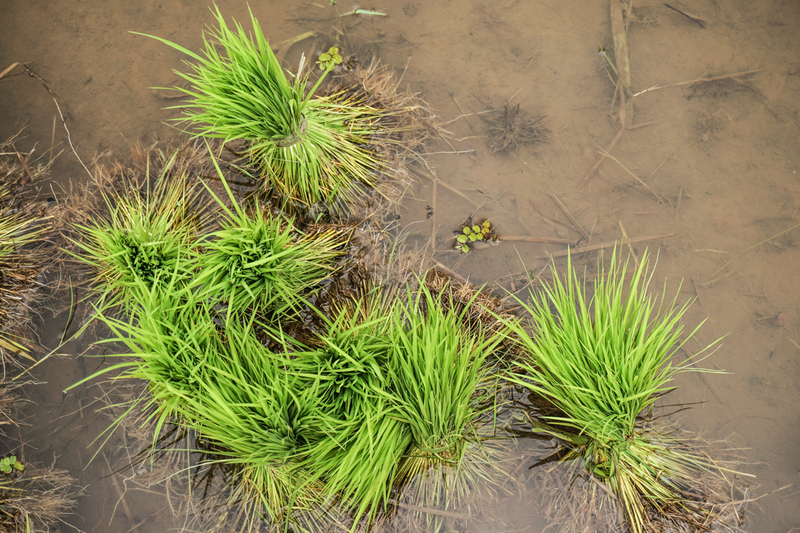 Water from springs and canals flows through the temples and out onto the rice paddy fields. The system is part of temple culture and still promotes a harmonious relationship between local people and the environment. 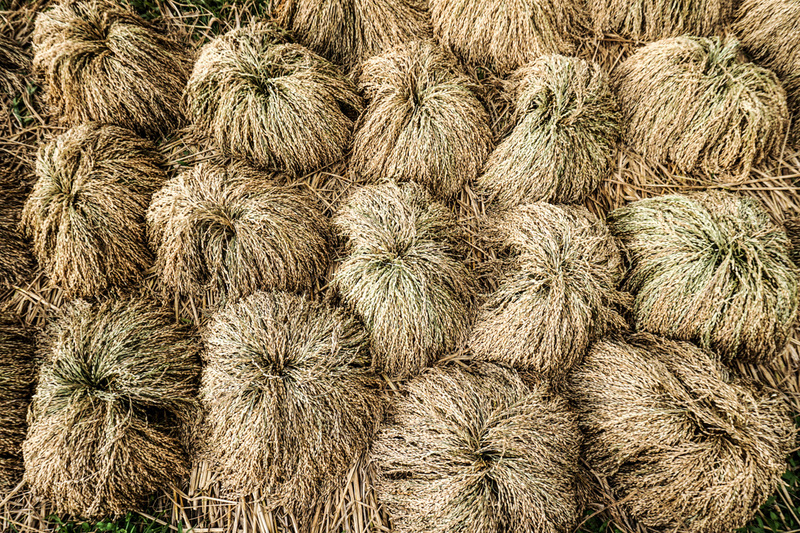 Balinese farmers still grow traditional Balinese rice without the aid of fertilizers or pesticides. 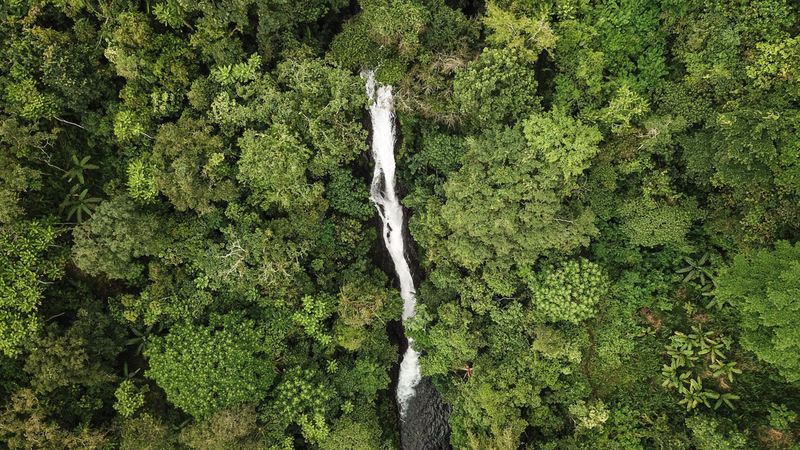 It’s a perfect symbiosis between agriculture and religious beliefs when the water passes through the temples, downhill to irrigate the rice terraces. 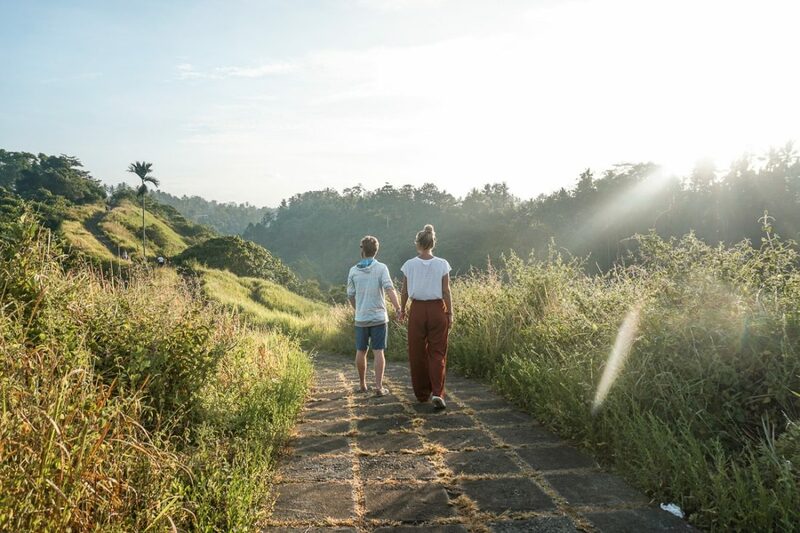 After a 20-minutes scooter ride from Ubud, you reach the Tegalalang Rice Terraces. 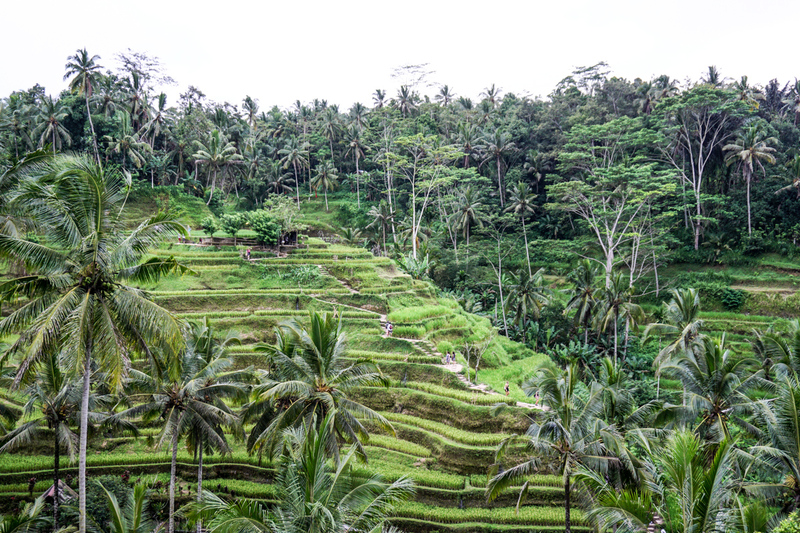 They are, as mentioned, the most famous rice terraces in Bali. Walking up and down the hill, those terraces are built upon, is an incredible experience. Especially during sunrise, the light gives this place an even more magical atmosphere. Those perfectly aligned terraces in a lush green are a must see while exploring the island of the Gods. 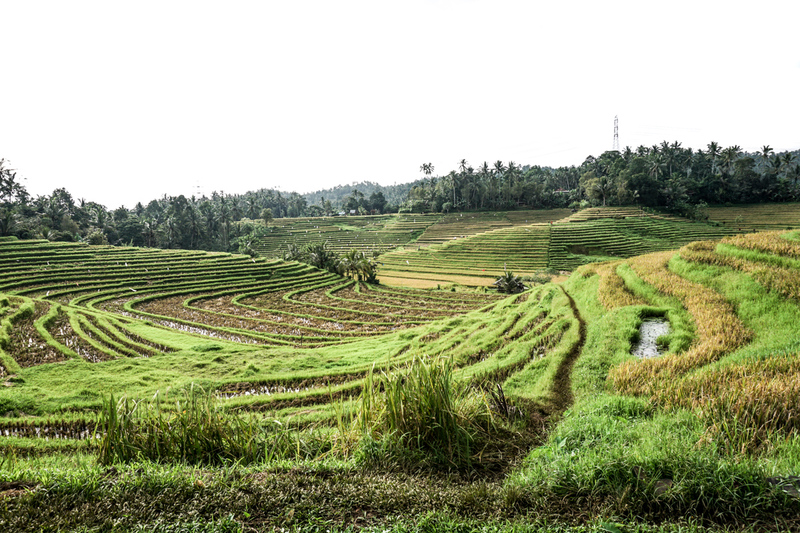 The Jatiluwih Rice Terraces in Bali can be visited from either the North or South of the island. 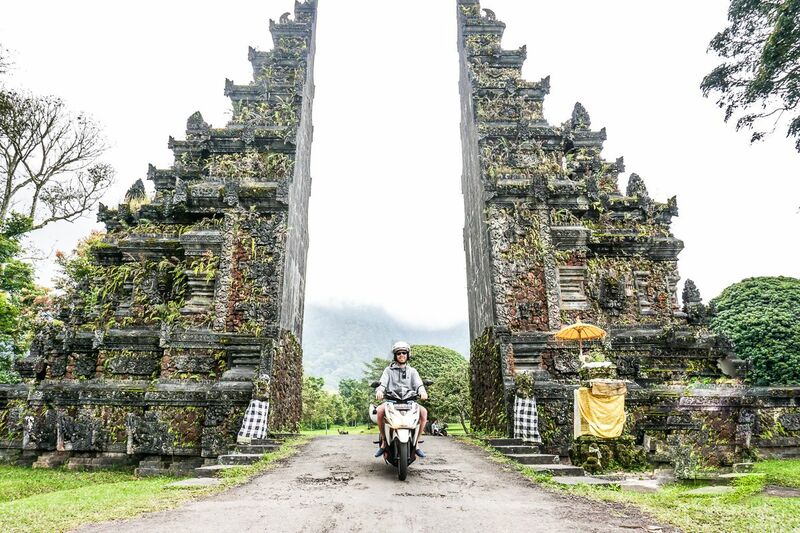 It takes about 1 and a half hours to get there, centered right in the middle of Bali. But they are absolutely worth the journey. The Jatiluwih Rice Terraces were definitely the most touristy ones we visited. 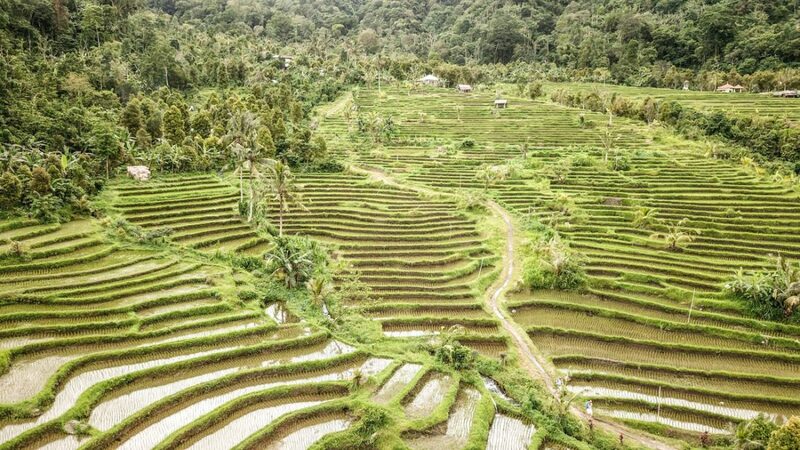 But since this area is unbelievably huge, over 600 hectares of rice fields to be precise, it’s not that big of a deal while following one of the many routes through the terraces. 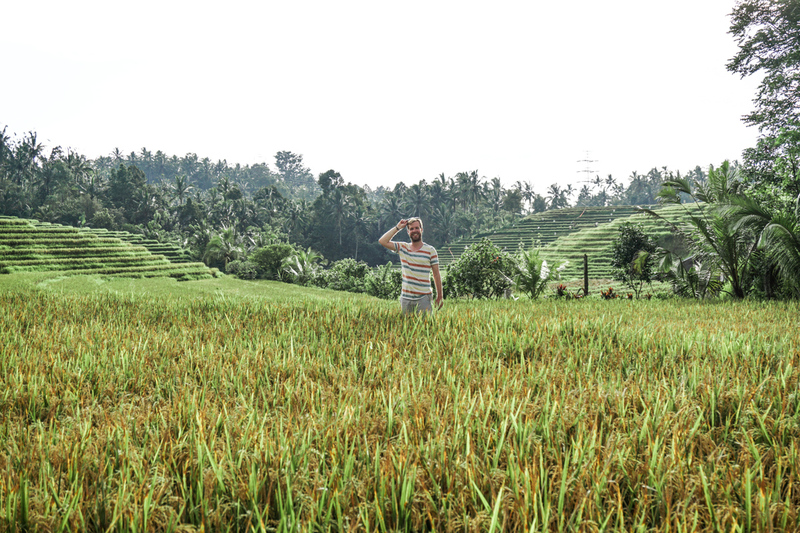 We couldn’t believe our eyes when we arrived at Jatiluwih – all we saw where rice fields to the horizon. Like steps leading you towards the sky. It’s even more impressive when you see the rice farmers plant and pick the rice. Which we only discovered on site. Oh, Belimbing – you stole our hearts! When driving to the Belimbing Rice Terraces you will see plenty of terraces and small villages on both sides of the street. We immediately fell in love with the atmosphere. 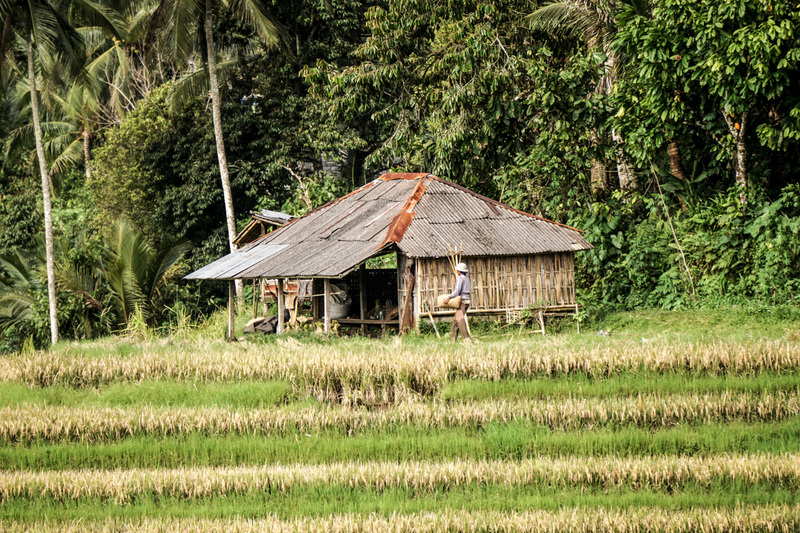 Make sure to stop at the Warung Sari Wisata on your way to the Belimbing rice terraces. They offer free original Balinese coffee & tea tasting while overlooking one of the terraces and the workers in the fields. On the opposite street, there is a restaurant from where you can easily walk down to the rice terraces. The bonus: there are no other tourists around (at least there weren’t the whole day during our visit)! However, it does take 90 minutes to get to Belimbing from Canggu. But from our point of view – absolutely worth the ride! Especially, because there are no entry fees! 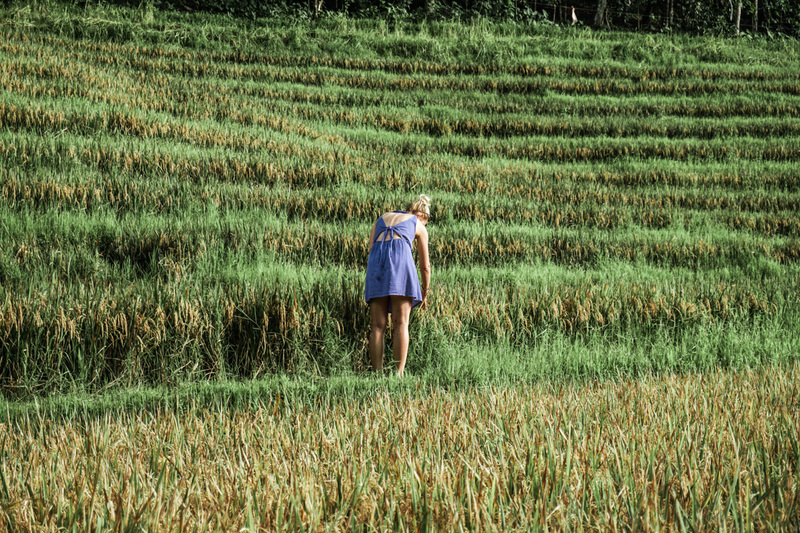 We loved the Belimbing Rice Terraces in Bali the most! The area is so quiet and there were no tourists at all when we arrived. And let us know how you like them or if you found another gem in Bali!